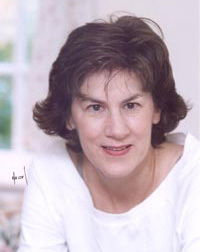 Today, Norm Goldman, Editor of sketchandtravel.com is pleased to have as our guest, Sandy Betner, newly appointed Director of the Connecticut Art Trail. Good day Sandy and thank you for participating in our interview. Sandy, how did you get involved with the Connecticut Art Trail and what are you responsibilities as director? As a marketing specialist in the travel industry, I was asked to market the Connecticut Art Trail in 2006 as its Director. My background in creating travel experiences and packages, which combine lodging, dining and key attractions such as a visit to a museum, appealed to the members of the Connecticut Art Trail, as they saw the opportunity to promote a museum visit as part of a broader travel experience. What is the Connecticut Art Trail? What is its focus and its mission? The Connecticut Art Trail is a partnership of fourteen world-class museums and historic sites across the state of Connecticut. Our mission is to increase attendance and revenue at member museums by promoting our cultural assets as part of a travel experience to in-state residents and out-of-state travelers. Can you tell our readers something about the communities where the museums are to be found and what you recommend the tour as a romantic getaway? If so, why? From bucolic farms, art studios and former artists boarding houses to grand and modern art museums in vibrant downtowns, the Connecticut Art Trail showcases diverse, quality collections rich in history and heritage. Communities range from vibrant downtowns such as Greater New Haven (Yale University Art Gallery and Yale Center for British Art) to the bucolic countryside of Mystic Country (Lyman Allyn Art Museum in New London, Florence Griswold Museum in Old Lyme and The Slater Memorial Museum in Norwich). Our website recommends Trail Getaways: suggested lodging, dining and area attractions near each museum. We showcase select inns, B&B's and hotels, restaurants and key attractions near each museum to encourage a convenient, quality getaway. Could you give our audience some idea as to the accommodations and restaurants one could expect along the trail? We worked with the Connecticut Convention Bureau's to recommend the highest quality lodging and restaurants near each museum. Examples include The Farmington Inn near Hill-Stead Museum in the River Valley, and the romantic Fitch House B&B near the William Benton Museum of Art in Mystic Country. Restaurants include celebrated dining such as Max Downtown in Hartford, near the Wadsworth Atheneum, or waterfront dining on Greenwich Harbor at L'Escale Restaurant and Bar at The Delamar Greenwich Harbor Hotel, across the street from the Bruce Museum in Fairfield County. We also suggest more casual eateries near each museum for lunch or informal dinner. Can one participate in a package tour that would include museums, accommodations and dining? We created suggested itineraries with options for travelers to follow rather than a set package. Where does one pick up the trail? Depending on where you are coming from, it can start with the Bruce Museum in Greenwich for people traveling from New York and New Jersey, or with the Wadsworth Atheneum in Hartford or the William Benton Museum of Art at the University of CT in Mansfield/Storrs for people coming from Boston and points north. Are there opportunities for art workshops, lectures, classes etc? Yes, each museum offers its own schedule of classes and lectures. You can search on our website under Art Type for Learning Classes to find those museums which offer classes and lectures. The Connecticut Art Trail offers visitors the opportunity to discover European masterpieces, American Impressionism, ancient art and contemporary culture and much more & in other words, a broad spectrum of art. Our website, allows visitors to search by art type, making it easy to search for a museum which matches one's interest. There is something for everyone! And, while you are here, why not spend the night and discover Connecticut's other hidden treasures?? ?